Launched in February 2018, we are a fairly new kid on the block - based in Hong Kong where dressing up is a way of life. Think clutches, designer flagship stores, stilettos – you are never overdressed in this city. Yet after living here for nine years, I realised that I would love to contribute my two fashion cents. My signature look is a little more relaxed: modern European, rather French than German (where I’m originally from), with a playful twist. As a mother of two, I simply can’t spend too much time on myself before school runs. However, I still crave a little everyday glamour. So I started creating pieces that make dressing in the morning easy and fun. Just jump into that jumpsuit or slip on that dress – and wear it – whatever your day has in store! clothes upfront in sweat shops. Maybe you have heard of the sad fact that fashion is today’s second largest cause of pollution with tons of unwanted, unsold clothes ending up in landfills...? Love a LvO style but not so keen on the colour, fabric or length? Please talk to me. 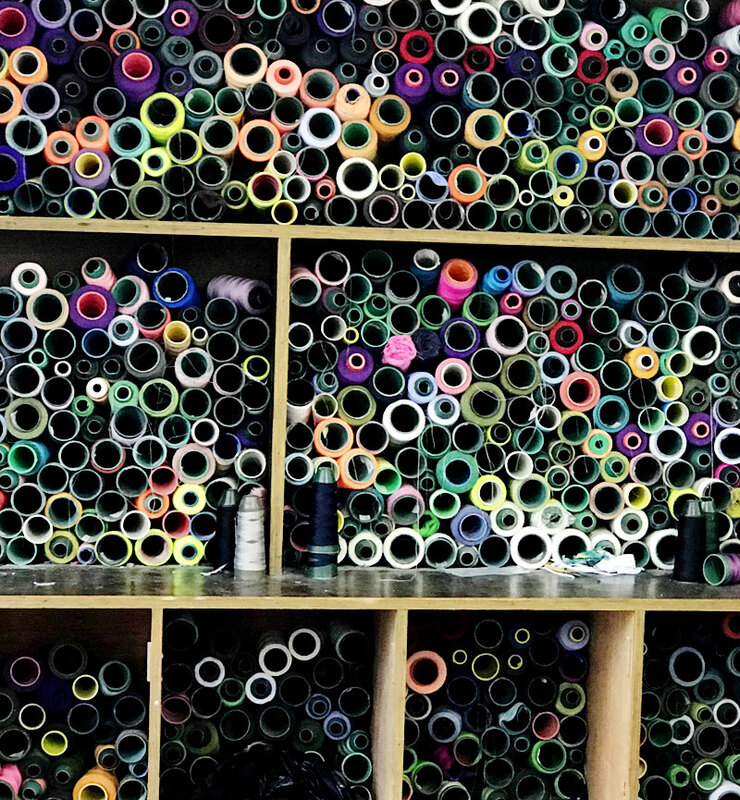 I enjoy spending time at fabrics markets, sourcing special materials for different clients. And I’m very open to new ideas and love to give styling tips. Can’t wait to see you rocking your very own LvO item soon…!